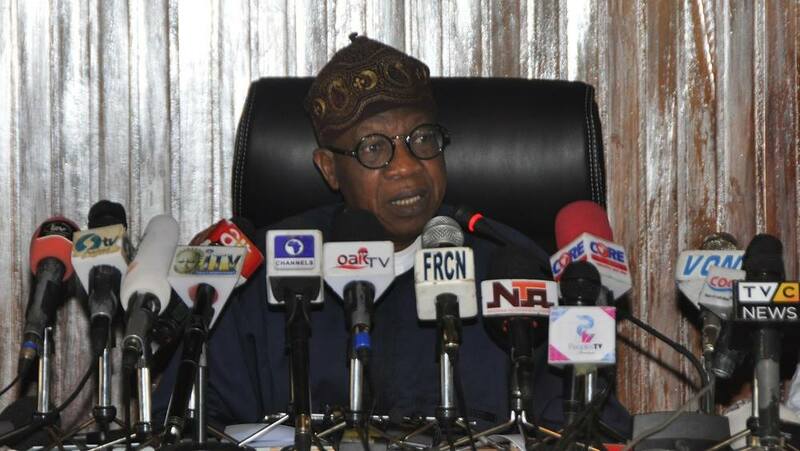 Minister of Information and Culture, Lai Mohammed said Buhari suspended Onnoghen over his admittance of failing to declare his assets as stipulated by the law and not due to the forthcoming elections, as being insinuated. Addressing a press conference in Abuja, Mohammed disclosed that the embattled CJN was suspended for refusing to take responsibility for his actions, instead opted to put the entire judiciary on trial. According to Muhammed: “Today, I have called this press conference to set the records straight and redirect the discourse. Contrary to what the opposition and their ilk have been saying, this is not about the forthcoming elections, neither does the suspension of the CJN signal the beginning of dictatorship. President Buhari is an avowed democrat, and this he has proven time and time again. This Administration stands firm on the rule of law! “This whole issue is about the country’s highest judicial officer, the Chief Justice of Nigeria, being accused of a breach of the Code of Conduct for Public Officers, and the legal and moral conundrum surrounding that. It is about the suspicious transactions running into millions of dollars to the suspended CJN’s personal accounts, all undeclared or improperly declared as required by law. It is about the Hon. Justice Onnoghen himself admitting to the charges that he indeed failed to follow the spirit and letter of the law in declaring his assets, calling it a ‘mistake’.